Si su Volkswagen Golf está fallando, su Passat parece tener problemas, o simplemente hace mucho tiempo que no le presta cuidado a su Volkswagen, en German Car Depot nos encargamos del Servicio y Reparación de su Volkswagen a un bajo precio. En German Car Depot, sabemos lo importante que es recibir calidad, buen servicio y tener un lugar confiable para atender su VW sin problemas ni frustraciones. Con esto en mente, diseñamos nuestro programa de servicio para ser confiable y cuidadoso. Su vehículo se encontrará en manos de un equipo de expertos con ética impecable mientras se encuentre al cuidado de German Car Depot. El equipo de German Car Depot está entrenado a usar las más innovadoras herramientas de diagnóstico, y tienen la experiencia y calificaciones para otorgar servicio rápido, profesional y seguro. As with all the VW services and repairs we provide, we keep all costs completely transparent; you’ll know everything before any work begins. Similarly, we strive to offer a level of customer care that is simply unrivalled, from our expert advisors on hand to answer any VW service/repair questions and offer advice, through to our aforementioned, expert technicians that take meticulous care of your vehicle at all times. On average, customers save 32% on official VW service centre prices. * So book today for trusted servicing that keeps your wallet happy! 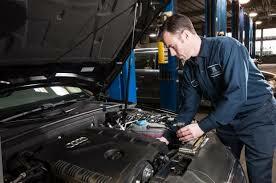 Our VW service has an extensive list of checks. Our approved garages have the latest equipment, which allows our qualified technicians and mechanics to diagnose any VW repair problems quickly and efficiently. At German Car Depot, we want you to feel confident about the quality of service you'll receive - every time you visit us. Every time we see your vehicle it will get a 34 point Express Visual Check. We will only use genuine Volkswagen parts. Your VW service caters for all models within the VW vehicle range. If you have an older model are unsure if we will service your VW please call us. The VW service descriptions we provide are just a guide of what we do and will vary on what each Manufacturer service schedule says, some additional items maybe required to comply with your warranty. However, we always provide a complete quote before anything additional is carried out.